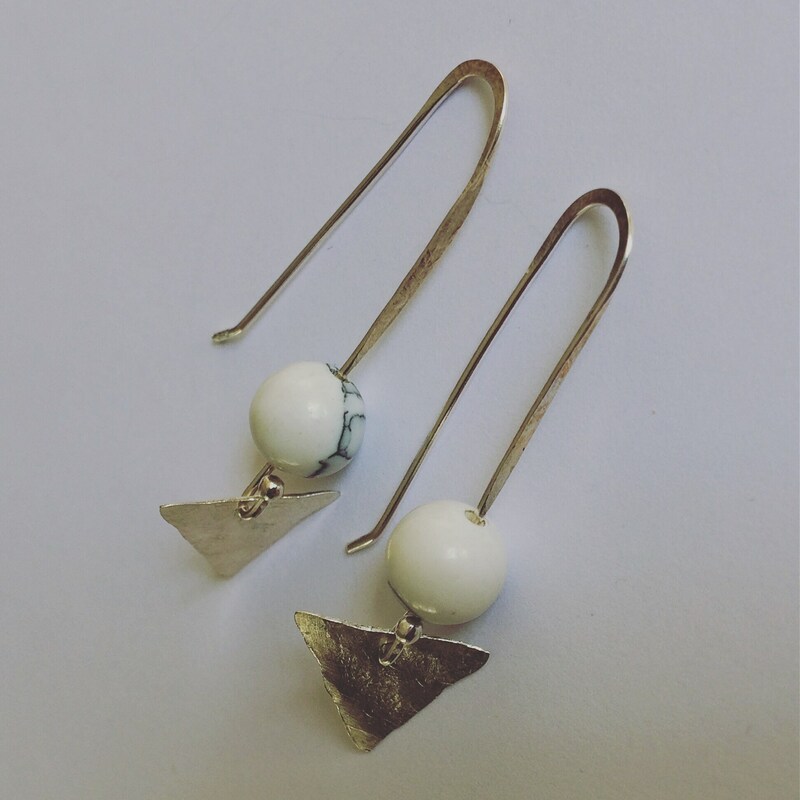 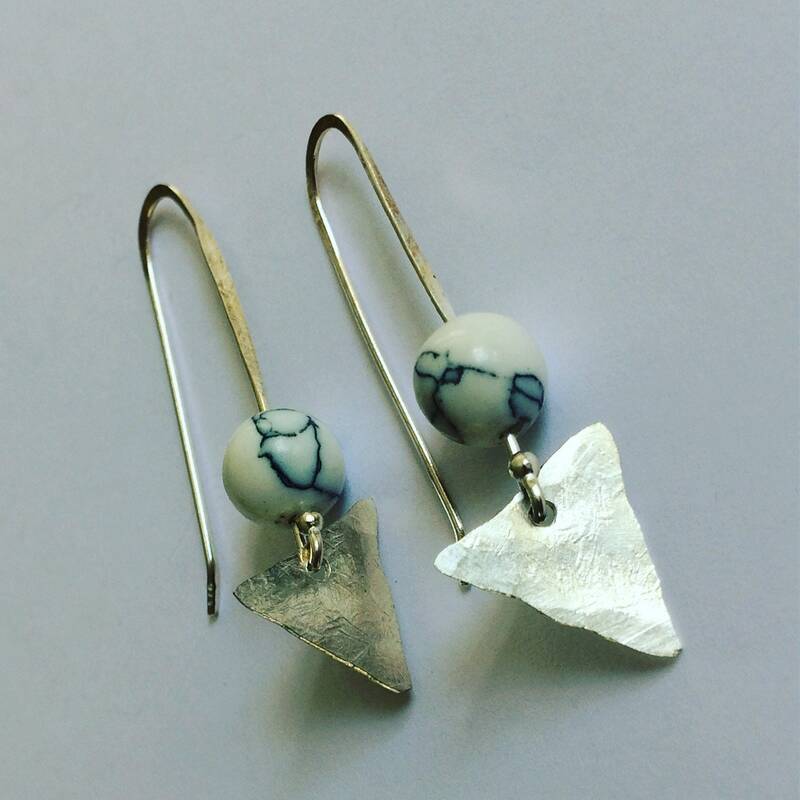 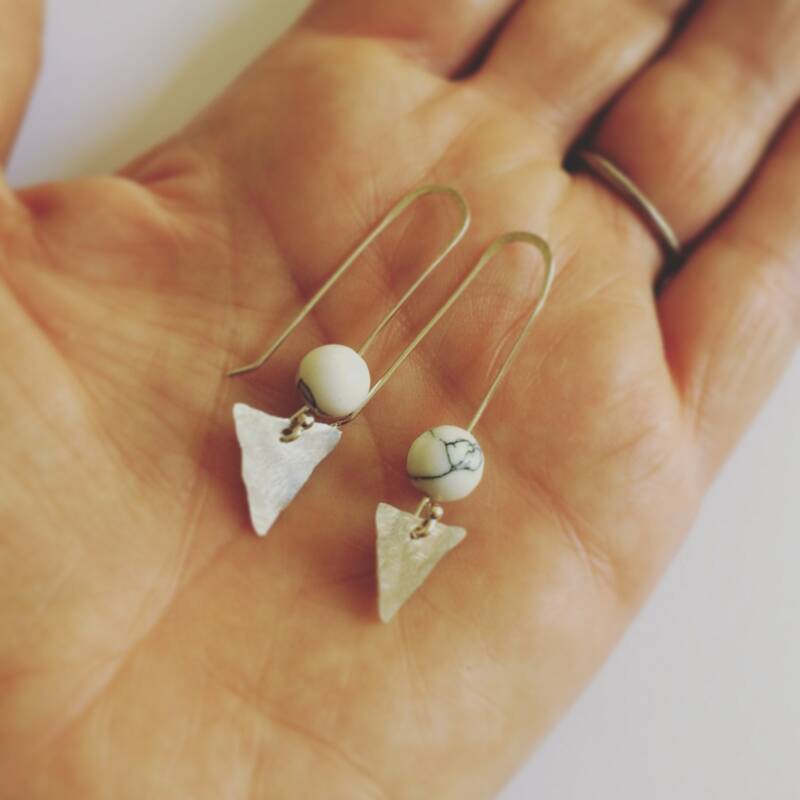 These delicate sterling silver earrings have small planished triangles that are free hanging so catch the light beautifully as you move and a white howlite bead. 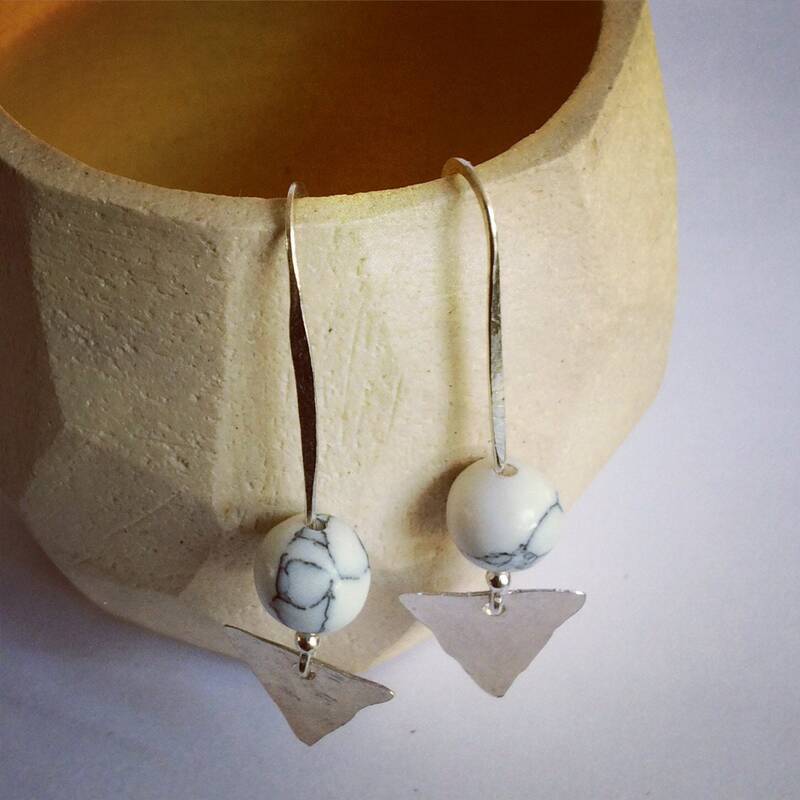 Howlite promotes self love and acceptance as well as a feeling of calm. 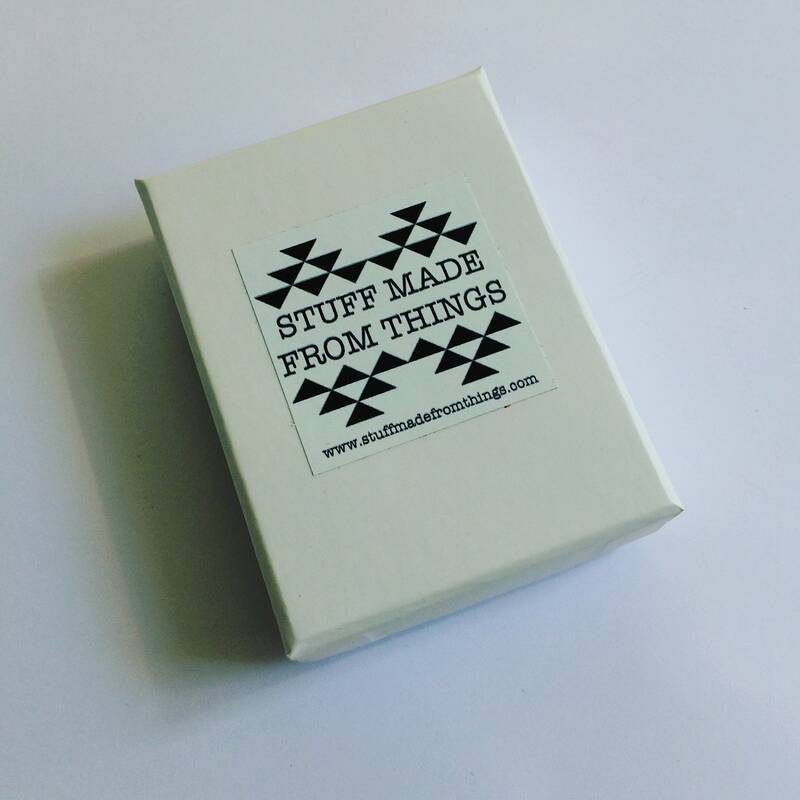 It is believed to help connect with your guides. 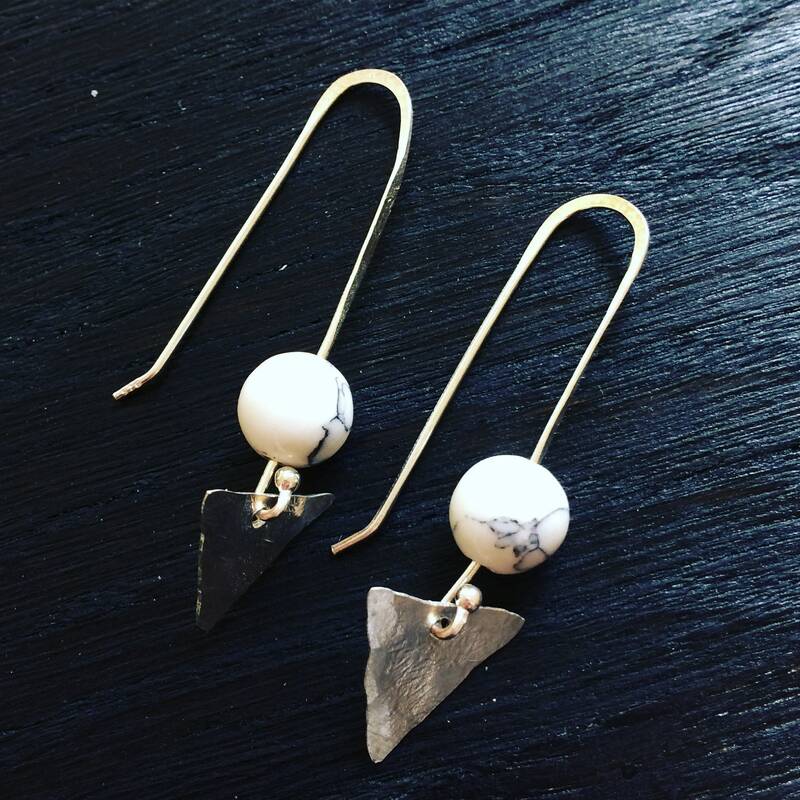 It is associated with the root chakra.